Looking for a one stop shop to buy all your zero waste supplies? You’re in luck! There are truly some amazing zero waste online stores out there designed to make your life easier. Here are three zero waste online stores you can find a bunch of plastic free goodies at. These shops are committed to bringing you the best zero waste supplies, in the most sustainable packaging around. This plastic free store is a woman run business, which literally started in a tiny yellow bungalow (hence the name). What started as an experimental blog in 2015 turned into a full time online shop, filled with eco-friendly goodies. Jessie, the founder of Tiny Yellow Bungalow, recognized a need for more zero waste shopping options and decided to transform her blog into a shop. She has a wide selection of products to choose from on her site in a bunch of different categories, like bath and body, kitchen, kid + baby, handmade and vintage. You can find a lot of unique, thrifted vintage items on her shop you can’t find anywhere else. She hand selects them herself from markets and thrift stores she stumbles upon. (follow her on Instagram – that's where she interacts with her audience most). She also has an adorable baby boy who she tries to keep as low waste as possible, not to mention a handy zero waste baby registry on her blog. I personally love the reusable produce bags she sells (the cloth ones come with such cute designs) and the compostable kitchen loofahs (so many adorable styles to choose from like apple, eggplant, owl, etc.). Jessie is always updating her shop too, so there are tons of other new items in there I want to try soon! Jessie also goes out of her way to reuse old shipment boxes from previous packages, friends and family. Talk about recycling! Just as the name implies, this store will help you truly live a plastic free life. Life Without Plastic is the ideal resource for someone looking to break free of their reliance on plastic. It has a plastic free alternative for so many items. The site is broken down into sections like eating, drinking, home and living, kids and babies, and more. You can find everything from plastic free coffee makers to plastic free hair ties there. As far as inventory goes, It's definitely one of the biggest zero waste online shops around. Each product also has an in-depth description that tells you everything you could possibly want to know about it, such as the material it's made from, size, where it comes from, who made it, how to use it, and what to do with it at end of life. I personally love their wide selection of stainless steel airtight containers. So handy! You could find almost any size you need on their site, big or small. They also have some incredible informative resources on their sight that can help you live as consciously as possible. Under their info section, they list resources and articles that talk about plastics, plastic types, plastic alternatives, and the effects of plastics on health and the environment. They also have an action section where you can get involved with global or local campaigns. The inventory is really quite impressive and you never have to worry about how products will be packaged. Everything gets sent to you in cardboard and paper, completely plastic free. Run by an inspiring couple, The Wild Minimalist was created with one mission in mind: To help others reduce their dependence on plastic. Max and Lily, founders of the shop, started up the online store after becoming a newly engaged couple. 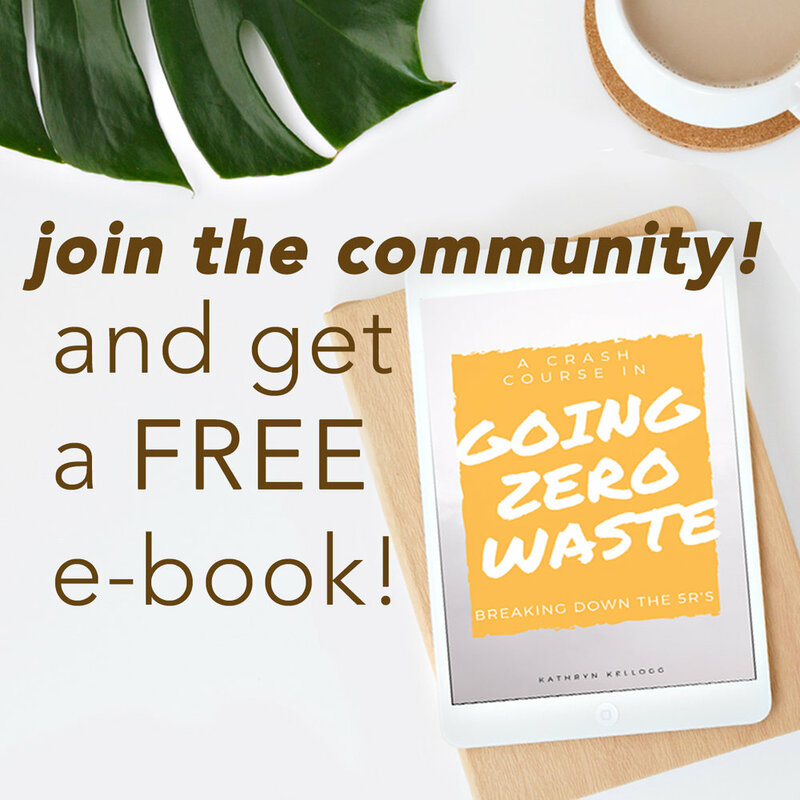 As they transitioned to a zero waste lifestyle, they quickly realized there was no one-stop shop for all things zero waste, so they decided to create one. And they certainly did a great job! Their selections include zero waste kits, bags, kitchen and dining, cleaning, bath and beauty, mama and child, utility and pets. They have a wide range of items to choose from that’s bound to make any zero waster excited. For someone just starting out, they make things easy by offering zero waste kits of all kinds, such as a basic starter kit, farmers market kit, lunch kit and more. 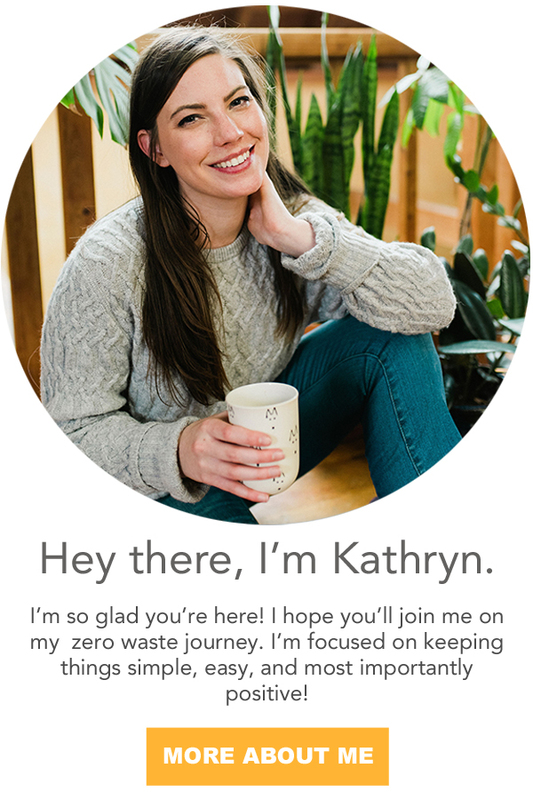 Perfect for someone who wants to go zero waste in a specific area of their life, but doesn’t know where to start. Their utility section is very unique: They sell beautiful paper items there like a handmade produce calendar, market cards, native plant cards and more. All of which can be composted at the end of life, if you have the heart to (they’re all so pretty). I personally really love their selection of cleaning brushes (so much versatility – I have their wood pot scrubbers and love them). I really love the fact they also have a beauty section with some makeup and skin care products in it. All of their items come in zero waste packaging too, only shipping their products in plastic-free, easy to recycle packaging. They try to use recycled cardboard boxes whenever possible. Yay for no waste! What are some of your favorite zero waste shops?